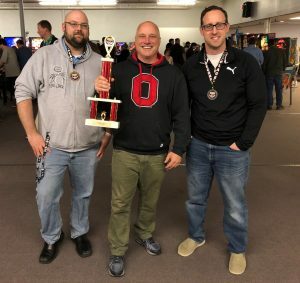 Your McGown & Markling Pinball Wizards went head-to-head in the Winter 2019 McGown & Markling Pinball Championship at the Ohio Pinball Show on April 5, 2019. 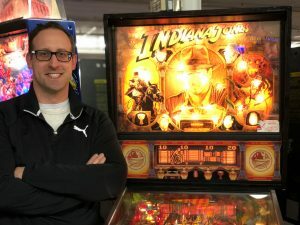 This epic nine-game pinball championship began with Matt selecting Indiana Jones: The Pinball Adventure, which currently ranks as the No. 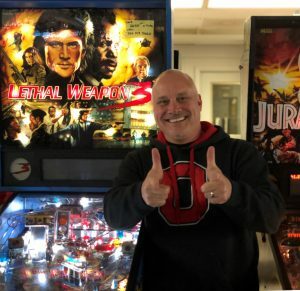 10 pinball game in the Pinside Pinball Top 100. And Patrick found fortune and glory on this pinball adventure placing him first on the leaderboard. 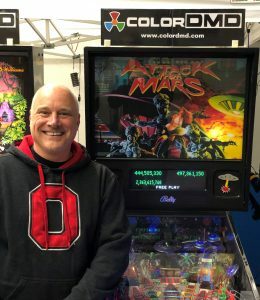 For the third game, John selected Attack from Mars, which ranks No. 2 in the Pinside Pinball Top 100. “Ack! Ack! Ack!” Matt ties the tourney … thanks his Grandma for always being so good to him, and, and for helping him save the world and everything. 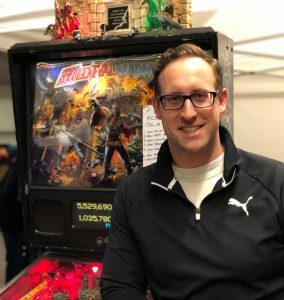 For the fourth game, Matt selected Medieval Madness, which is widely regarded as the best pinball machine of all time and ranks No. 1 in the Pinside Pinball Top 100. Patrick valiantly fought dragons, rescued maidens, participated in jousts, and rallied angry peasants to reclaim the tournament lead. For the fifth game, Patrick selected Fish Tales, which ranks No. 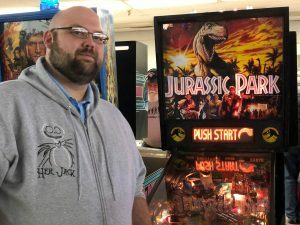 46 in the Pinside Pinball Top 100. Having mastered tropical fishing … freshwater fishing … deep sea fishing … Matt ties Patrick on the leaderboard. 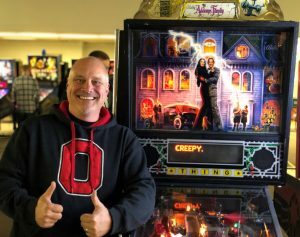 For the sixth game, Matt selected The Addams Family, which is the most commercially successful pinball machine and ranks No. 12 in the Pinside Pinball Top 100. Matt danced the Mamushka while Nero fiddled, danced the Mamushka at Waterloo, danced the Mamushka for Jack the Ripper, and danced the Mamushka to first place on the leaderboard. For the seventh game, John selected Lethal Weapon 3, which ranks No. 203 in the Pinside Pinball Top 100. Matt reminds Patrick and John that they have the right to remain unconscious and moves further ahead on the leaderboard. For the eighth game, Patrick selected Congo, which ranks No. 44 in the Pinside Pinball Top 100. 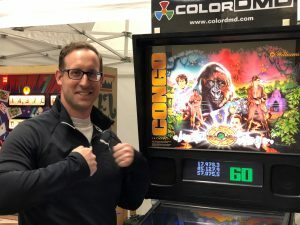 Out of nowhere, Patrick shows why he is a pinball primatologist by putting both Matt and John on the endangered species list! 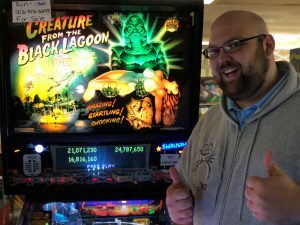 For the ninth – and final – game, John selected Creature from the Black Lagoon, which ranks No. 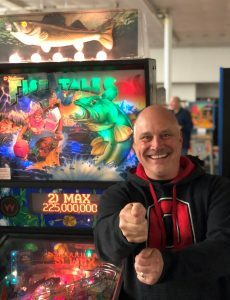 28 in the Pinside Pinball Top 100. With a win at “The Black Lagoon,” Patrick can send the tournament into sudden death, but nobody ever comes back alive to prove it and Patrick was no exception. It was impossible for John to win this game, he did it … playing the spoiler and securing a tourney win for Matt. Sure play a mean pinball!